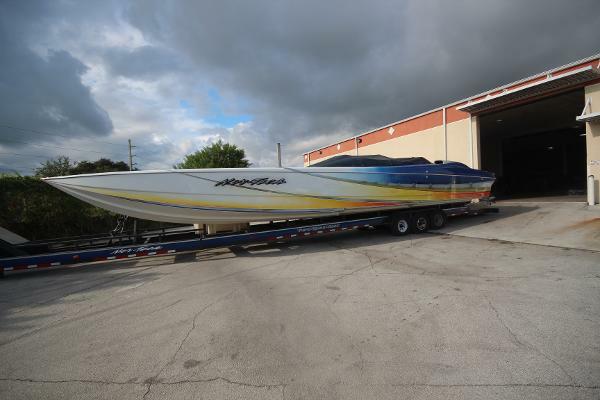 2004 Nor-Tech 5000 Supercat 2004 Nor-Tech 5000 Supercat Sterling 1150HP, 653 CI Carb Supercharged. 125mph. Sterling rebuilt the engines in 2010 and owner has put 8 hours since then. TNT Custom Marine rebuilt both drives and one transmission in 2010.Other transmission is NEW. Bimini Top, Tons of work was done on this boat (too much to list) and is stored inside TNT since. 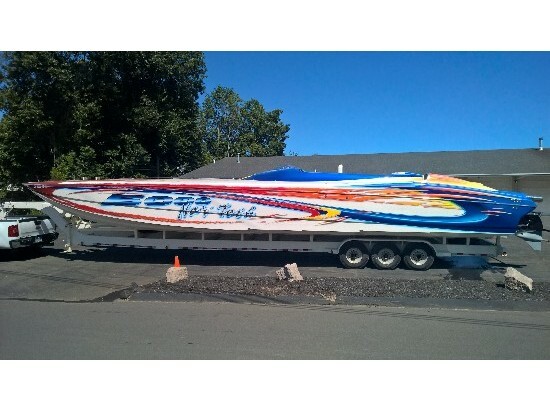 Includes 2003 Manning Marine Trailer with fresh water tank mounted. Owner is only selling due to lack of use. Nor-Tech has long been at the forefront of design and innovation, pioneering state-of-the-art catamaran technology. In 2008 Nor-Tech set two 400 mile open ocean records and several of our pleasure boats have closed in on top speeds approaching 200 miles an hour. All boats are produced exactly in line with the customers' wishes and requirements making each and every Nor-Tech a unique object of desire. 2000 Nor Tech Super 5000V (LOCATION: Clearwater FL) This Nor-Tech Super 5000V was custom built for one thing, to go fast. 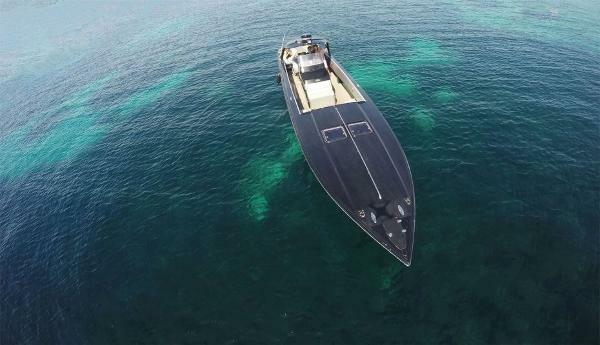 Her three 1000hp engines have low hours and are currently detuned 780hp to save wear and tear. Three rebuilt XR race drives turn 28” Bravo I 4-blade propellers. The performance has to be experienced to be appreciated.On deck we have a long, lean foredeck with large cockpit with premium performance custom race seats. Finished yellow to compliment the custom paint this beauty is hard to ignore.Included is a 53’ custom heavy duty trailer for transport and storage.Call now for more information and to schedule a showing. 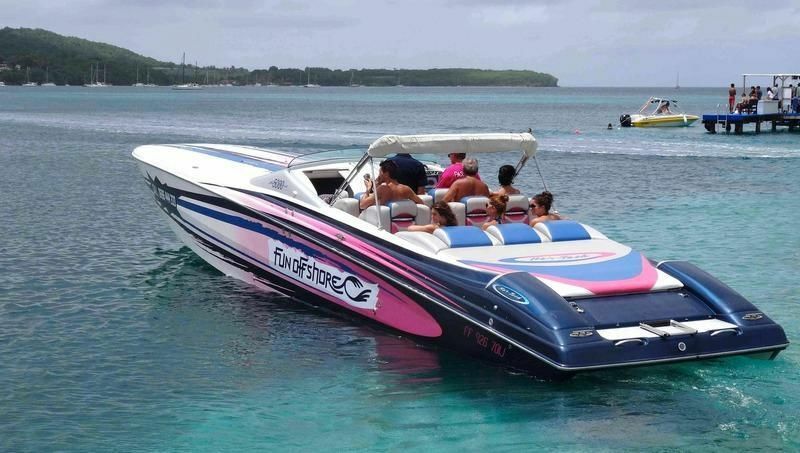 2009 Nor-Tech 5000 Supercat 2004 Nor-Tech 5000 Supercat Sterling 1150HP, 653 CI Carb Supercharged. 125mph. Sterling rebuilt the engines in 2010 and owner has put 8 hours since then. 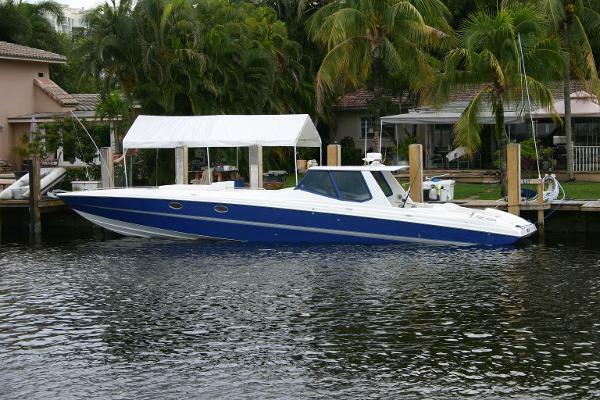 TNT Custom Marine rebuilt both drives and one transmission in 2010.Other transmission is NEW. Bimini Top, Tons of work was done on this boat (too much to list) and is stored inside TNT since. 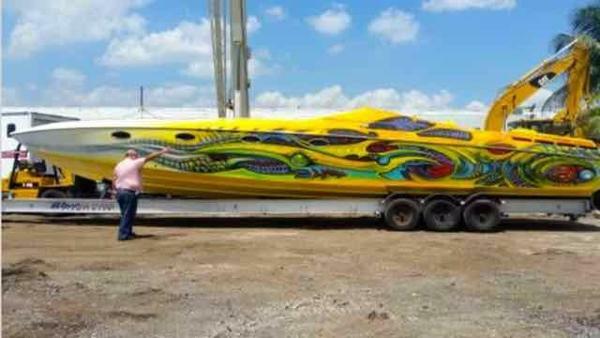 Includes 2003 Manning Marine Trailer with fresh water tank mounted. Owner is only selling due to lack of use. Nor-Tech has long been at the forefront of design and innovation, pioneering state-of-the-art catamaran technology. In 2008 Nor-Tech set two 400 mile open ocean records and several of our pleasure boats have closed in on top speeds approaching 200 miles an hour. All boats are produced exactly in line with the customers' wishes and requirements making each and every Nor-Tech a unique object of desire.